Lord Robertson, former UK Defence Secretary and Secretary General of NATO, will discuss the Review and its importance and relevance in securing Britain in an age of uncertainty. As stated in the Review: &apos;Our country has always had global responsibilities and global ambitions. We have a proud history of standing up for the values we believe in and we should have no less ambition for our country in the decades to come. But we need to be more thoughtful, more strategic and more coordinated in the way we advance our interests and protect our national security&apos;. 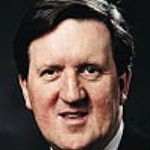 Lord Robertson is a British Labour Party politician who was the tenth Secretary General of the North Atlantic Treaty Organisation. Asking me to talk about the Strategic Defence and Security Review of 2015 only weeks from its publication and in the knowledge that copies of the draft are already circulating could be an exercise of some futility. Without being at all partisan, I regret that consultation has been, in my view, too limited and therefore we are in the dark on emerging thinking. Keeping people guessing on the security of the nation is a wrong formula and one endangering a consensus outcome. "The Review is radical, reflecting a changing world, in which the confrontation of the Cold War has been replaced by a complex mixture of uncertainty and instability. These problems pose a real threat to our security, whether in the Balkans, the Middle East or in some trouble spot yet to ignite. If we are to discharge our international responsibilities in such areas, we must retain the power to act. Our Armed Forces are Britain's insurance against a huge variety of risks." It was true then and it is true now seventeen years later. Yes, we have moved on from the Balkans, but the Middle East has erupted again after the Arab spring and we are faced with a huge refugee crisis, a new challenge from Russia and there are a range of new threats to preoccupy us. All that emphasizes what I said, 'we must retain the power to act'. That statement, and what our domestic and international responsibilities are, must be the driving impetus underpinning SDSR 2015. Let me give you my top priorities for the Review and my hope for the conclusions and then return to, what I believe is, the most important aspect of defence and security today, and that is political will. My first priority seems so self-evident that you might wonder at me saying it. The Review must be truly strategic. Of course there have to be cost restraints on what we do to keep the people of this country and our allies safe and secure but they should not be the starting point. In 1998, the Prime Minister pledged that the then Defence Review would be foreign policy led – and we kept to that pledge. Only when the Review was complete did the argument on finance come in and that argument took place before the 1998 Comprehensive Spending Review. That signaled, quite emphatically, that the thoroughness of the Review was the priority. I cannot pretend that the negotiations on how to finance the Review were easy and un-bloody. They even involved the possibility of Ministerial resignations, but with the Prime Minister's intervention the whole package was properly financed. The SDSR 2015 needs to follow the National Security Strategy and that document must enumerate – and crucially prioritise the internal and external threats that Britain and its people face in the foreseeable future. It must also leave room to cope with the Rumsfeldian Unknown Unknowns we may also face. The 'trouble spot yet to ignite' I referred to in 1998. In 1998 we did not contemplate the attacks of 9/11 and 7/7. We did not then clearly see Afghanistan as the incubator of Al Qaeda and its transnational terrorism, we did not predict the Arab uprisings and the implosions in Syria and Libya, nor could we forecast that Russia would betray its security assurances in the Budapest Memorandum and annex sovereign territory in Ukraine. We did, however, predict the malign influence of Saddam Hussein and the Cruise Missile attacks of 1998 organised by Blair and Clinton with myself and Robin Cook in operational command, were based on the same, unknowingly flawed, intelligence relied on in 2003. So, we must prepare for the catalogue of known threats, build capabilities for those which might surprise us and watch the trend lines and not just the headlines. Today's headlines are dominated by ISIS and its carnival of savagery, the migration waves, and Russian and Chinese behaviour. The trends however, some related to the headlines, are in jihadism and other extreme varieties of nationalisms, separatisms, extreme religions and insurgency. They lie in the atomization of existing states and the emergence of failed ones. They are in smoldering border conflicts and in impending conflicts about resources like water and energy. They also lie in financial instability in a very interconnected and mutually vulnerable global system. It is a sad and remarkable fact that the issues affecting us have all gone global just as the politics have gone local. Not a formula which will keep us safe. We know, however, that the British public is not isolationist. The recent Chatham House/YouGov survey on attitudes towards the UK's international priorities showed that over 60% of the general public and opinion formers say they think the UK should aspire to be a 'great power' rather than accept that is in decline. That was the highest level of support since the survey began. The National Security Strategy should therefore be about the protection of the British people and their interests at home and abroad and how we can tap into that aspiration. It must also be about using our privileged position in international bodies like the EU, the UN, NATO and the G8 - to name only the biggest platforms, to be a good and active global citizen. That fact seems to have been lost back home. The constant erosion of the Foreign and Commonwealth Office, the relentless cuts to the defence budget, the agonized debate on EU membership, the unwillingness to engage where we have responsibility – like the Normandy Group on Ukraine, they all point in one direction. All of that and the cuts to the British Council and BBC World Service signal a retreat from our role in the world. Notwithstanding, our burgeoning aid budget with its privileged protection, and unlike all other budgets enshrined by law, it is estimated that our national external capability has shrunk by 30% in the last five years. The FCO is the brain in the external policy of the United Kingdom. Its work at home and abroad should be the eyes and ears of the nation in threat spotting, diplomatic engaging, trade promoting and intelligence gathering as well as explaining the world. The existing butchering of our diplomatic service, and about to face further amputations, is an unforgivable betrayal of our national standing and relevance. How defensible is it that our aid budget of £12billion is protected and increasing when the very government department which fixes the priorities for that aid is restricted and unprotected on a tiny £1.6billion? We spent over £10billion on the 2012 Olympic Games and we spend a tenth of that amount of our whole diplomatic network and its headquarters. The priorities involved in that situation border on the insane. Have we become safer, more secure and less vulnerable in these years? A jury would give a unanimous and negative verdict on that indictment. My second point about the SDSR is consultation and the involvement of the public and of the wider security and defence world. The 1998 Review claimed to have been the subject of the widest and deepest consultation of any previous Review. It is my contention that that is why it got such public and private support from those who had to implement it and it is principally why it lasted so long without major tweaks. This 2015 Review, which I believe is almost finished, has been done largely behind closed doors. Only in the last couple of weeks has the inexplicably stringent word limit on outside contributions been lifted. I make the point about consultation not as a partisan debating point but a point of substance. The 2010 SDST was fatally undermined by the lack of buy-in by the whole security stakeholder base and its conclusions were weakened and undermined as a consequence. The harsh fact is that national security is not the property of the government of the day. It concerns all of us and we all have a right, a basic civic right, to hear the threat assessments and dangers affecting us and to be faced by the stark choices – some of them financial, involved in a review of this complexity and importance. My next point is on deterrence. One of my favorite quotes is from General George Marshall who perceptively said "the best way to win a war is to prevent it". And that is all about deterrence. Not just nuclear deterrence but having a range of capabilities, military, economic and diplomatic which will convince a potential adversary that the cost of attacking you and your interests in any way would mean unacceptable consequences. Let me start with the nuclear deterrent. Apart from the US, only France and the UK in Europe have independent nuclear weapon capability. In the face of an increasingly nuclear armed world – and one where non-friendly, or potentially non friendly states are acquiring nuclear weapons it would be totally irresponsible for us to abandon our Continuous-at-Sea Deterrence. Trident is a controversial subject. It should not be. We are not talking at this time about replacing Trident; the issue is only about building the four new submarines which will maintain Continuous At Sea Deterrence with the existing Trident missiles. Yet this issue is big and reminds me of the words of someone who said "Some issues are so important that future generations should have a vote on them'. We find it difficult to predict what will happen next week, next month and next year, never mind foresee a world over the next three decades. After all who saw the enormous flood of humanity fleeing to Europe this year? How can we be sure that those future generations, unable to vote on the go/no go Main Gate decision in the next few months will be safe in the future if only the difficult, volatile, unstable and potentially hostile regimes will be holding nuclear weapons? The new submarines will be expensive it is true, but not nearly as expensive as their opponents constantly exaggerate. Over the thirty years of the life of the submarines and the system the cost will be around £2billion a year. That is what the NHS spends every single week. That amount, 0.13% of government expenditure, is our insurance policy against inter-state warfare and nuclear blackmail. Anyone harboring the illusion that unilateral nuclear disarmament is anything other than a dangerous gamble should look first at the Budapest Memorandum of 1994 – the deal by which Ukraine gave up its nuclear arsenal in return for solemn assurances from Russia, the UK, France and the US to respect its sovereignty and independence inside its existing borders. Then they should examine the decades of Britain restructuring and substantially reducing its nuclear role. They can contrast that with the modernization ongoing in Russia's nuclear capability as well as that of China, Pakistan, India, North Korea and potentially others. Why are these countries doing it and will they give them up if we do; two questions I pose to those who fantasise about the virtuous effects of us getting out of nuclear deterrence. Where I do agree with Trident's critics is when they say that Trident cannot act against the likes of ISIS and Al Qaeda. They are right, but the nuclear deterrent is not designed for that purpose. Its role is totally different and other deterrent measures are needed for tackling other threats like terrorism. That is why a robust conventional defence is an integral part of the nation's deterrence posture. Along with our NATO allies we need to have the quality and quantity of capabilities which will warn any adversary and potential enemy that attack – be in conventional, hybrid or asymmetric, will be countered firmly and decisively. Modern capabilities are thus essential. As Secretary of State I introduced Smart Procurement believing that it was an unforgivable waste of defence and the public's money for so many defence projects to be over cost, over time and under-performing. In NATO I said, and kept repeating, that my three priorities were capabilities, capabilities and capabilities. It still is the most important priority and it is lamentable that European countries are still behind the curve on getting the right capabilities for today's threats. Recently the last Chairman of the US Joint Chiefs, General Dempsey, revealingly said this "They pretend to have the capabilities, and we pretend to believe them.' I often think the biggest enemy we face today is ourselves. Short sighted penny pinching, risk taking and blind to our weaknesses. We are our own worst enemy. 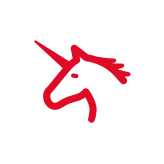 The last five years has seen a major shift in the UK procurement process. Under the leadership of Chief of Defence Materiel, Sir Bernard Gray (who was once my Special Adviser) and using the reforms to the process engineered by Tom McKane (who was once my Principal Private Secretary) DE and S has achieved the very rare accolade last week of a commendation from the National Audit Office. I hope Sir Bernard's considerable progress will be maintained by his successor. You will be hardly surprised when I say that my next priority for the SDSR is the strength of NATO. The British commitment to the 2% of GDP laid down by the Alliance for defence expenditure recently announced by the Prime Minister is good news for this country and for NATO. But only if it is true. Rumours abound that financial engineers are burrowing in the system, manipulating figures, shifting budget heads, reclassifying expenditures in other departments all in order to ensure that the 2% commitment is satisfied without there being extra cash. If this rumour is correct it will fool nobody – and nor should it. Defence and security is too important for any kind of political three card trick. And, as I often said in NATO, the 2% only makes sense if it is spent on the right things – deployable troops, precision weapons, logistics and specialist people. 2% extra on the relics of the past adds no value and wastes tax-payers money. NATO is the corner stone of our defence. It is a force multiplier and in a world where no nation has the resources to act alone and that applies to the US as well as European countries, the strength, resilience and the determination of the Alliance is essential. There must also be priority given to sorting the NATO/EU relationship on defence. Given the security threats around the Mediterranean Europe will have to face new challenges on its doorstep. There will be no free-loading on the Americans here. It is too often being muttered just now that Article 5 of the North Atlantic Treaty, 'an attack on one is an attack on all' has weakened in recent times with the enlargement of the Alliance. I doubt that. Thinking of it in abstract terms gives rise to debate, but when the emergency occurs – as it did on my watch – the fundamental pillar of common security binds all states. But lest that doubt gets traction it is important for all NATO members to reiterate their commitment to it. I am reminded of the official New York parking sign which said bluntly 'Don't even think of parking here" That is the message of Article 5 and it needs to be as prominent and proclaimed loudly. It also needs to be rehearsed. The military know what to do when an order is given. Politics is a more subtle science. Knowing and exercising the political process of invoking Article 5 is a way of both refreshing knowledge of the pledge but also still of alerting others to the fact that it is being taken seriously. We in NATO also need to make sure our house is in order. If the Russians and others think that the NATO nations are divided and decadent and lack the will to stand for our interests, then we better address that perception. A huge own goal was scored when the British House of Commons in August 2013 voted against the Government's advice on attacking Syria when it crossed a 'red line' by using chemical weapons. That declaration of weakness has now to be reversed because it gave the clear signal to Presidents Assad, Putin and Rouhani that the West did not have the will to defend its values and its commitments. It is my strong opinion that it was this demonstration of feebleness which led directly to President Putin acting with such boldness in first Crimea and then in Eastern Ukraine. And that then is the crucial issue in this debate on the defence and security of our country. Political will. All the analysis in the world, all the equipment, all the technology, all the highly trained men and women in uniform – none of that is of any utility if the political will to take action is not there. "A ship in harbour is safe, but that's not what a ship is for' is a thought worth bearing in mind. But even more important than the ability to act is producing in an adversary's mind that you have the willingness to act and act decisively. In my introduction to the 1998 SDR I made the point. "If we ask our forces to fight, we must make sure they will win". Again a statement of the blindingly obvious? Not if you examine our attitude to recent fights. Laterally in Northern Ireland under first John Major and then Tony Blair it became obvious that the violence could not be stopped without a political process. When there was a process and the military was in support of the civil power the violence stopped. In Bosnia after the Dayton agreement produced a political framework, the military might of NATO and 65,000 troops brought the killing to an end. In Kosovo in 1999 the objective was clear "Serbs out, NATO in, refugees home." Faced with a relentless information war, the daily repetition of the message 'NATO does not do losing', and precision military strikes; Milosovic caved in. Contrast that with Iraq where a successful military invasion was followed by a chaotic US Defence Department attempt to put a cap on an implosion with no relevant Iraqis left to create the new state. In Afghanistan the purpose of the NATO mission was "Security and Assistance" in ISAF. Afghanistan has an elected government but as the campaign went on the military and political objectives became mixed with the latter taking precedence. If we had paid twice as much attention to the political track as we relentlessly did on the military we might be more confident as we leave. In Libya, a wholly justified operation was mounted with a unanimous NATO decision but patchy participation, to save the people of Benghazi. That effort succeeded and the mandate was stretched – a fact which will guarantee a Russian veto for any subsequent UN mandate. Gaddafi was brought down. So far, so good but then we went home. Two rival governments, violent militias running the show and an open port for the procession of migrants is the legacy. A foreign official told me that we had created an Afghanistan by the sea. In Iraq, Afghanistan and Libya, we used our brilliant military assets well. Huge human sacrifice was involved and a mountain of cash spent. But where was the information war? Press coverage limited to coverage of casualties. Political VIPs paying fleeting visits to grip and grin. Little done to inform the public at home and in theatre about what we were there for. Little done then and indeed now to give the troops the feeling their efforts and sacrifice was worth it. Barely a speech in Parliament or on the bully pulpit to get the message to the enemy that they were to be defeated and that the Afghan people could chose a government and not a jihad. It was the famous American war correspondent Ed Murrow who pointed out Winston Churchill's rhetorical role in World War Two. "Churchill mobilized the English language and sent it into battle." Through his powerful rhetoric and his single-minded will to win he inspired the British people to defiance and crucially he persuaded Hitler that we were stronger than we were. If he had not done it this lecture would be in German. Why was such resolution not shown in the fight against the Taliban? Why did our present Prime Minister make only a couple of House of Commons speeches on the Afghanistan campaign and his predecessor the same? We should remember the words of Leon Trotsky at another time "You may not be interested in this war, but this war is interested in you". My conclusion then is this. If the SDSR 2015 does not get it right, does not provide the prioritisation of threats and identify and supply the means of countering them, then it will fall short of what the British public demand and deserve. It, and the National Security Strategy, must look at the world of today and tomorrow unlike the 2010 Review which contemplated a much more benign world than the one we face just now. If the Review does not face up to the fact that providing safety and protection for our people and their interests means hard choices and harder decisions which will be neither cheap or pain free then this Review, like the last one, will fail. And in that failure will lie huge and unquantifiable risks for future generations who will find it hard to forgive.